New York (TADIAS) -- Prince Ermias Sahle Selassie, the grandson of Emperor Haile Selassie, recently made a successful and highly publicized trip to Jamaica, along with his wife Saba Kebede, where he led an Ethiopian delegation from the U.S. to participate in the 50th anniversary of his grandfather's historic visit to the Caribbean nation in 1966. Five decades later, the nine-day commemorative visit by Prince Ermias (from April 21-30, 2016) included a meeting with newly elected Prime Minister of Jamaica, Andrew Michael Holness; a lecture at the University of the West Indies (UWI); a motorcade stop at Heroes Park, Mico College, JC, UTech; and a speech on education at Kingston's Haile Selassie High School that was established by his grandfather during his landmark visit there as a gift to the people of Jamaica. In an interview with Tadias Magazine this week Prince Ermias described his visit to Haile Selassie High School as "the highlight of my trip" and personally moving. "It was emotional and overwhelming to visit the school that was donated by my grandfather," Prince Ermias told Tadias. "The school has been in existence since the late sixties," he said. "Many have graduated and many have gone on to become doctors, lawyers, teachers, government leaders, pastors. Some have migrated abroad and are serving their adopted home well." Ermias added: "My grandfather believed in education. Education enlightens and enriches one’s life and for society there is no better security than to educate its citizens." 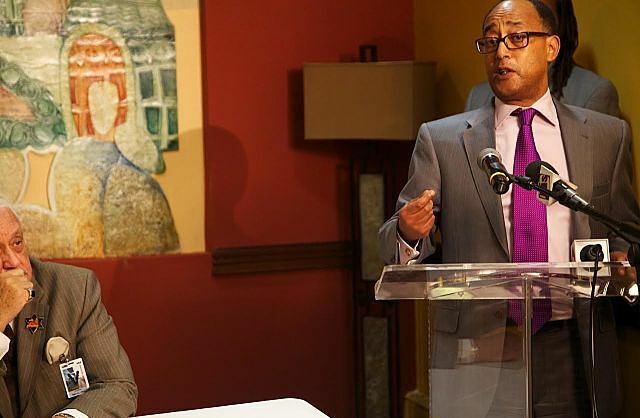 Regarding his meeting with Jamaica's head of state, Prince Ermias said: "The newly elected Prime Minster of Jamaica the Honorable Andrew Holness is going to be a great leader for Jamaica. I was happy to congratulate him on his win." Prince Ermias emphasized that their discussion primarily focused on education and the youth. "We all have great concern for our children," he said. "We talked about the opportunities and challenges of our friends in Ras Tefferian community." In addition, Prince Ermias said, "The subject of Jamaican teachers for Ethiopian schools was briefly discussed, I am grateful to the Prime Minister for taking time out of his busy schedule to meet local leaders, my delegation and myself." 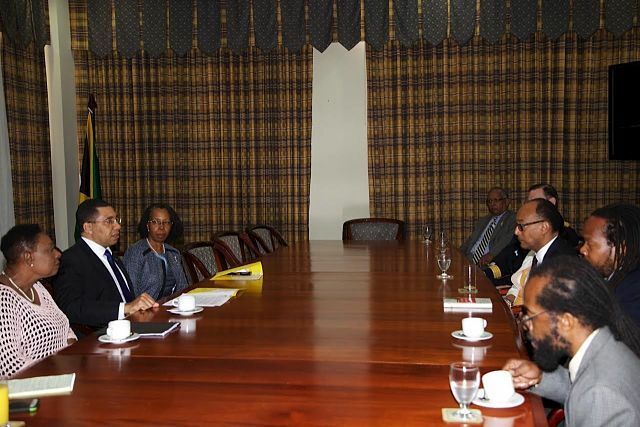 In addition to his meeting with Prime Minister Andrew Holness Prince Ermias said he also had an opportunity to meet with the country's opposition party leaders and was given the key to the city of Kingston by Mayor Dr. Angela Brown Burke of the People's National Party. Moreover, Prince Ermias also visited the Ethiopian consulate among other stops. "I am happy to report that we also visited the Governor General Residence," he said. "The visit to all the Ras Tefferian events was exceptional. Ras Tefferians have stood through thick and thin with our family. I am grateful for the warm reception we received in Montego Bay from the residents of that city." Prince Ermias, who is also the grandson of Dejazmach Habte Mariam Gebre-Igziabiher -- the heir to the former Welega kingdom of Leqa Naqamte, which today is part of Ethiopia's Oromia region -- was barely a teenager when he managed to escape to England after his famous grandfather was deposed from power by a communist junta of junior military officers in the early 1970's. He was just six-years-old when Emperor Haile Selassie made his historic visit to Jamaica 50-years-ago, but Ermias has been on a mission to preserve his family's contribution to the history of modern Ethiopia and beyond. Late last year he mounted a successful legal battle in Geneva, Switzerland against the international auction powerhouse Christie’s demanding that the institution halt its planned sale of Haile Selassie’s personal wristwatch. Lawyers representing the family convincingly argued in a Swiss court that the rare gold-timepiece was likely a stolen property from Ethiopia that belonged in a museum. In addition, Prince Ermias shared that another memorable moment was the time spent with students at Jamaica College. "Jamaica College is one of the finest boys school in Jamaica that have produced the likes of former Prime Minster Bruce Golding and Dr. Michael Bennett," Ermias pointed out. "My grandfather visited the school on April 21, 1966 on Thursday. I am pleased to report that was able to replicate the event 50 years later. Jamaica College reminded me of my own school [in England] Haileybury College in Hertfordshire. Outstanding curriculum, detail for personal attention, great teachers, center for discipline and self-control, honor and the desire to serve country." "The floral tribute at the shrine of Jamaican hero Marcus Garvey was reflective of my own identity," Prince Ermias told Tadias. "The visit to Mico University and the Museum in this school was excellent." 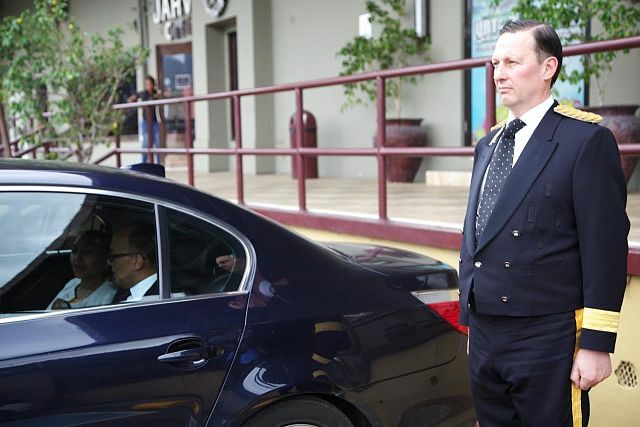 Some of our readers had noticed that when Prince Ermias had arrived in Jamaica on April 21st he was wearing a purple tie. Was it in remembrance of Prince, the iconic American musician and artist who had passed away the same day? "It was a coincidence," Prince Ermias clarified. "As you know Prince was pronounced dead at 11 am Central time. We also landed in Jamaica at 11 am. Jamaica is also on Central time. All of this was a coincidence" he said. However, "listening to Prince's music in the 1980s was comforting to me," he added. "As you know the Ethiopian people and our family were being persecuted by the brutal communists during those dark days. Prince's style of mixing funk, dance and rock music was unique, grand and comforting. Rest in Peace, Prince Rogers Nelson." Regarding his trip to Jamaica Prince Ermias continued: "The visit to the beautiful island was a magical moment for Saba and me." He added: "The entire program was flawless. It is difficult to say what the best moment was. But if I have to identify one, my favorite will be, that no one got hurt during our visit. There is always a chance that something could have gone wrong with our motorcade; while operated by the finest Jamaica Police force the logistics of accommodating such a large crowd could have been problematic. I am grateful for the hard work our Ras Tefferians invested to make the visit a success." Certainly, the warm reception given to Prince Ermias at Norman Manley airport and the subsequent press conference was unprecedented for an Ethiopian delegation since Emperor Haile Selassie himself arrived in the country on April 21, 1966 for a three-day State visit, which the Jamaica Observer notes "remains, arguably, the most momentous of its kind in Jamaica." 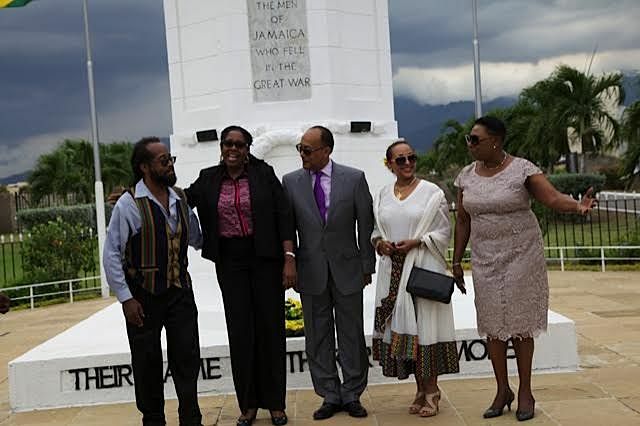 "I want to thank the people and government of Jamaica for a successful trip to the Island," Prince Ermias said.